Godzilla comes out of monster retirement to dispose of some unearthed nasty MUTOs (Massive Unidentified Terrestrial Organism), and an officer in the United States Navy must get to his family after aiding his work obsessed father. There are no one liners and gags, this appears to have been made for Godzilla fans and fans of film as the tone isn’t that of the usual mainstream popcorn flick, with this take on Godzilla being reminiscent of the original films. There are some fantastic visuals on show,the special effects are exceptional and the music and sound design are excellent. Director Gareth Edwards creates some tension and atmosphere and successfully gives the much needed scope and scale to battle scared Godzilla when he is finally revealed midway through. The MUTO designs appear to unavoidably borrow elements from Starship Troopers; Star Wars Episode 2; Pacific Rim to name a few and the influx of creature films over the years slightly takes the edge off the spectacle. In addition, Godzilla’s emotional functional storyline borrows a pivotal plot point from Gareth Edwards’ own film Monsters (2010), which is odd considering Dave Callaham wrote this offering. All the actors are on fine form, Ken Watanabe and Bryan Cranston are notable. Effects aside the everyday detail is unprecedented, the Las Vegas, tsunami and battleship helm segments to name a few are meticulously created, the film feels very real at times in terms of look and background activity aided by the excellent sets and locations. The designed sequences of movements between the MUTOs and Godzilla in the showdown fights are choreographed and executed finely giving mass and character to the unidentified terrestrial organisms. 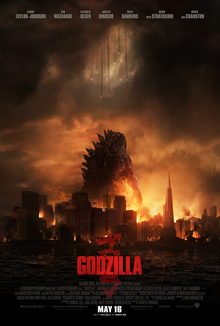 Overall, a visual treat and apt Godzilla entertainment. I haven’t blogged much lately, the reason being I wanted to surprise readers with a brand new book – The Final Version. To give you a little background the original manuscript dates back to 2008! 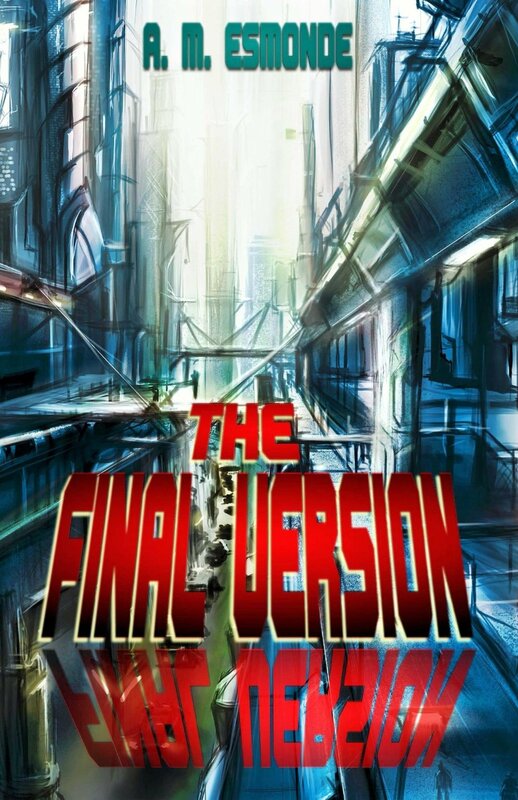 Now six years in the making The Final Version, my third novel, and first science fiction is out now on paperback and Kindle. Journey through the history of genetics and be catapulted to a post-apocalyptic future, a conflicted dystopian utopia of cyberpunk, cryogenics and government-conspiracy. London… The future, Jan Denton is abducted close to Big Ben Redux and is taken across the Atlantic Tunnel to the Oval Skyscraper, New York. He is accused of various murders of famed figures throughout history. Is Denton really Vasco, the killer of these prominent individuals? How could one person live so long? Time is running out as Denton must try to unravel the mystery before an assassin who knows the truth tracks him down. Are you unique or simply the final version?